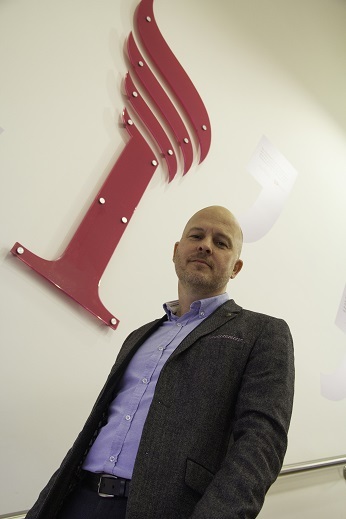 East Midlands brand agency Champions (UK) plc has made a new, high-profile addition to its board. With over three decades of media experience, former regional Editor-in-Chief at newspaper publisher Reach Plc East Midlands, Steve Hall, has been appointed Communications Director. Over the course of a his career Steve has managed the editorial teams of titles including the Nottingham Post, Leicester Mercury, Derby Telegraph. He also spent four years as Managing Director of four media businesses run by publisher Local World and has won a number of major industry awards, including being named ‘UK Regional Editor of the Year’. In his new role at Champions Steve will oversee the company’s strategic output, working closely with the PR, copywriting, social media and videography teams. A family run business, until 2017 Champions’ board of directors was solely made up of seven members of the Hayes family, including CEO John Hayes and Managing Director Matthew Hayes. However, the company has expanded rapidly in recent years, with turnover jumping from £17million to £30million. To support this transformation, the company has already added former Managing Director of Trinity Mirror, East Midlands, David Simms as Group Sales Director, ex-Warwickshire cricket star Tim Munton as Director of Sport and former Office Managing Partner at the Leicester branch of Mazars Chris Darlington as Commercial Director. The business also added its first staff member to the board, with Amad Tababa being made Digital Director after four years of work in the company’s digital department. Champions’ CEO John Hayes discussed Steve’s appointment to the board, explaining what he will bring to the team. Champions looks set to continue its growth in 2019 with the building of a digital hub, which is set to open in May.